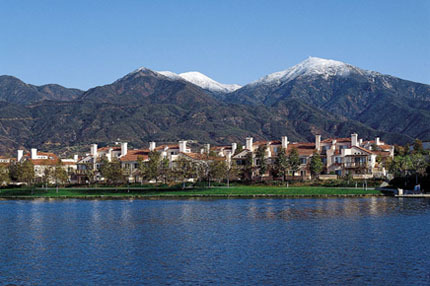 A master planned community, Rancho Santa Margarita is located along the foothills of the Santa Ana Mountains. Incorporated in 2000, Rancho Santa Margarita became the 33rd city Orange County. The city currently has a population of over 49,000. Rancho Santa Margarita is bordered by the city of Mission Viejo on the west, Coto de Caza on the south, Trabuco Canyon on the north, and the Cleveland National Forest on the east. Dove Canyon, a private residential community of approximately 1200 homes, is located within the eastern part of Rancho Santa Margarita. Visitors to Rancho Santa Margarita will find a mix of retail shops, restaurants, parks, and annual events that take place throughout the year. The city also has many parks to suit many interests including a dog park, skate park and the scenic Lake Rancho Santa Margarita with a surrounding path perfect for walking, jogging or bike riding. Rancho Santa Margarita lodging, Rancho Santa Margarita hotels and places to stay in and around the city. Within our pages you will find Rancho Santa Margarita entertainment and Rancho Santa Margarita attractions. We proudly showcase the finest Rancho Santa Margarita shopping and Rancho Santa Margarita services to suit every lifestyle. For Rancho Santa Margarita dining, we have a list of great restaurants either in the city or near by . We are also dedicated to presenting the best of Rancho Santa Margarita business and professional services to meet your needs. If you're interested in the history of Rancho Santa Margarita, it can be found along with Rancho Santa Margarita general information, Rancho Santa Margarita educational resources plus Rancho Santa Margarita real estate and housing information for both residents and visitors alike. Annual events in Rancho Santa Margarita and links to local organizations in Rancho Santa Margarita are listed so you may participate in all the city has to offer.